Aaron and Jack from Pizza Games Funtimes met the developers at EGX Rezzed 2018, for their reactions check out their video from the day. 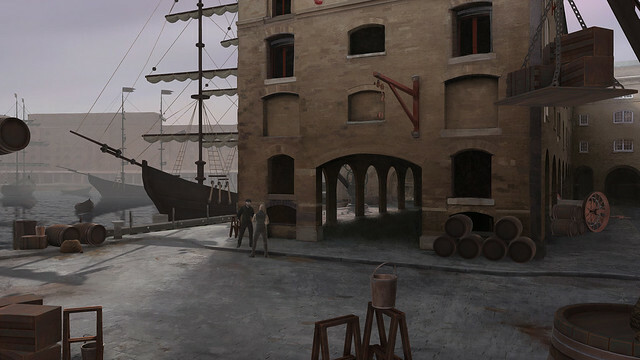 On the surface you could be forgiven for thinking that Du Lac & Fey: Dance of Death is ‘just another’ point and click story adventure from that dying genre was lived and died in the 90s and early 2000s with classics like The Curse of Monkey Island. However, with more than a cursory glance, Du Lac & Fey opens up a rich and vibrant story and some interesting fundamental mechanics. 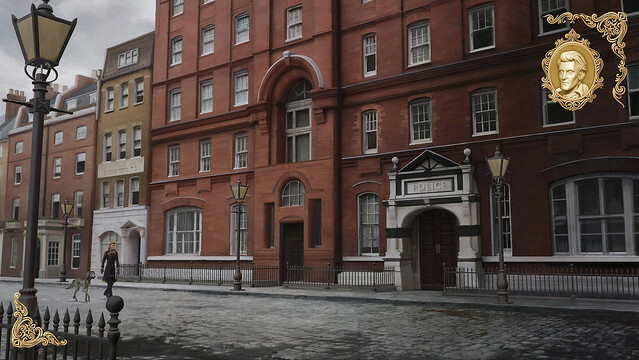 The game is set in the late 19th Century in the thriving city of London as it is torn apart by the infamous murderer; Jack the Ripper. Du Lac & Fey: Dance of Death takes a step back from the modern, action-oriented, world of modern games and puts the player firmly in the driving seat of three characters at the center of the intrigue with a gripping story told from three different perspectives. At EGX we were introduced to the game in the prologue scenes with the immortal knight Sir Lancelot Du Lac exploring a grisly murder with his companion the cursed sorceress Morgana Le Fey – did I mention that the titular characters are lifted straight from Arthurian legend? Or that one of them is cursed to live in the body of a dog? This is where things get really interesting, Du Lac and Fey investigate the corpse found and track the man’s demise to a small village chapel, where they discover an unspeakable horror lurking in the shadows, a demon from another realm that is sent straight back from where it came, but not before revealing the location of Morgana Le Fey’s nemesis – the Wizard Merlin! 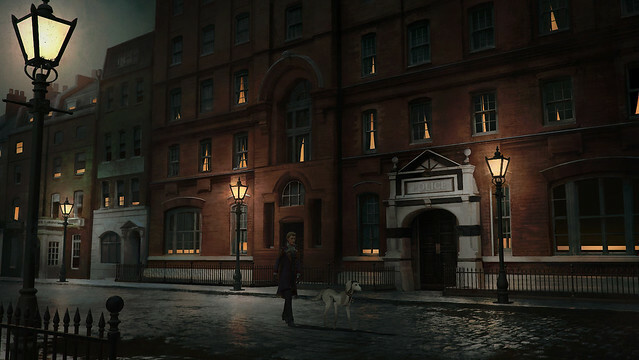 This is where the player is introduced to the main location and story arc of the game, the city of London in the late 1800s and the third player character, the one and only Mary Kelly – the final victim of Jack the Ripper. 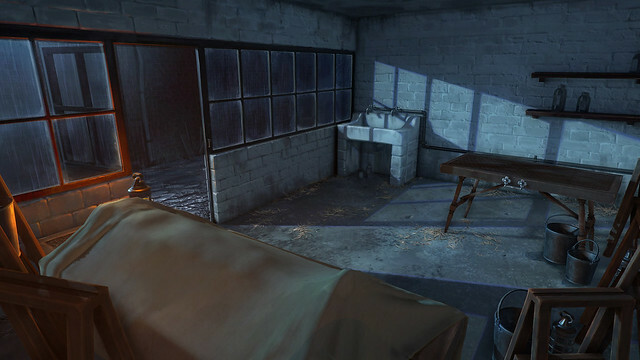 At its basis the game centers around crime scene investigation, gameplay that is enhanced by having the choice of three different characters and thus three different perspectives with which to explore the world and the crime scenes themselves – we especially enjoyed playing as Morgana Le Fey as a dog and using her enhanced canine senses to further the investigation – an interesting and innovative gameplay twist. We were astounded by the quality of the voice acting in Du Lac & Fey: Dance of Death which no doubt is down to stars from the likes of Torchwood, Penny Dreadful, Black Mirror and Game of Thrones lending their voice-acting talents – and as we learned, the actors all recorded their lines together in the booth leading to an energetic and engaging voice track. Although Du Lac & Fey: Dance of Death may not seem like it would be everyone’s cup of tea – there is a truly brilliant story in this game with honest and engaging characters that are guaranteed to entertain. And for those looking for a change of pace from the AAA action titles that pack the shelves of every gaming store this game is sure to rouse intrigue. One to watch. Du Lac & Fey: Dance of Death is still in development by Salix Games and is slated to release later in 2018 for PC. For more information visit www.salixgames.com. PGF is a youtube channel ran by Aaron and Jack. Started from a love of gaming and film making we set out to build a community of like minded people. Join us on Facebook. Subscribe on YouTube. Or watch live at Twitch.tv.